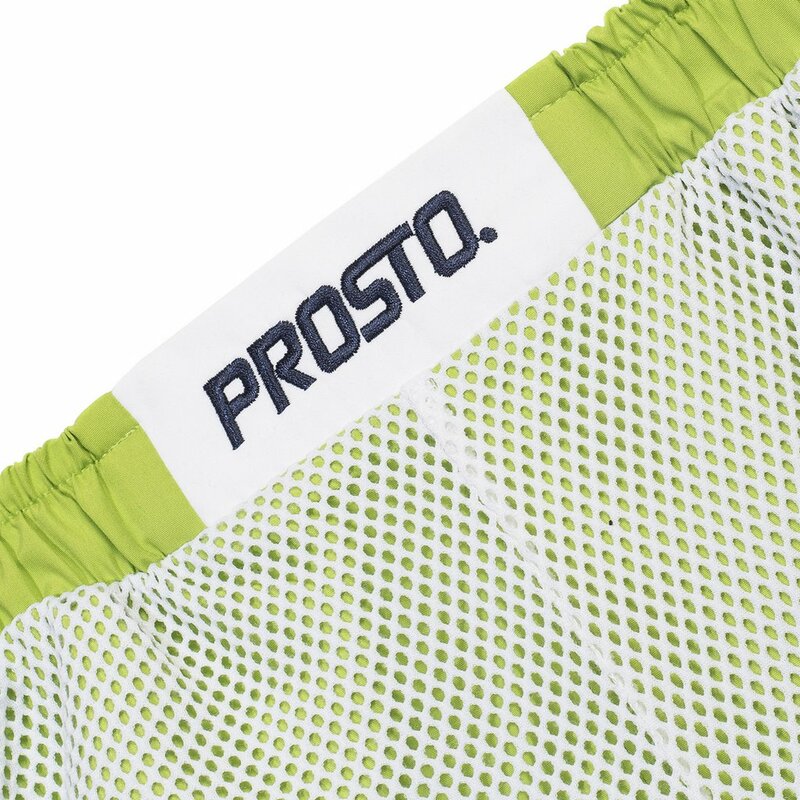 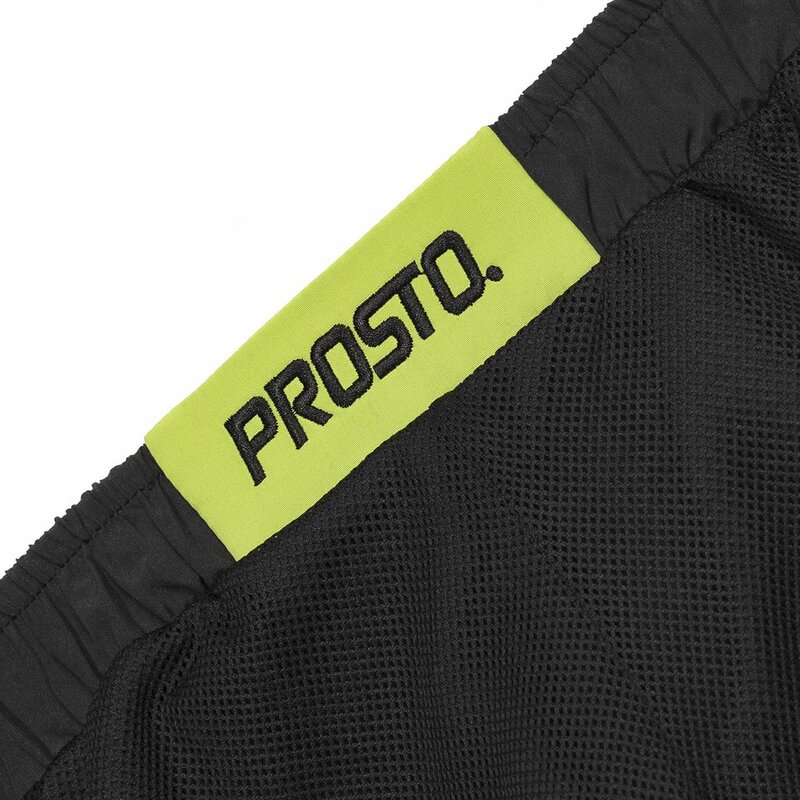 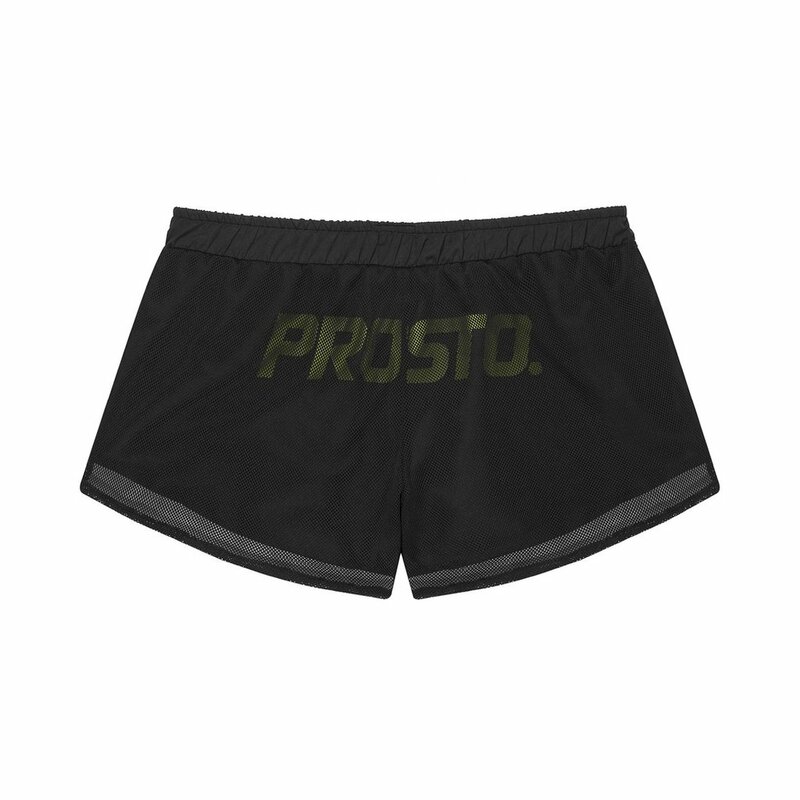 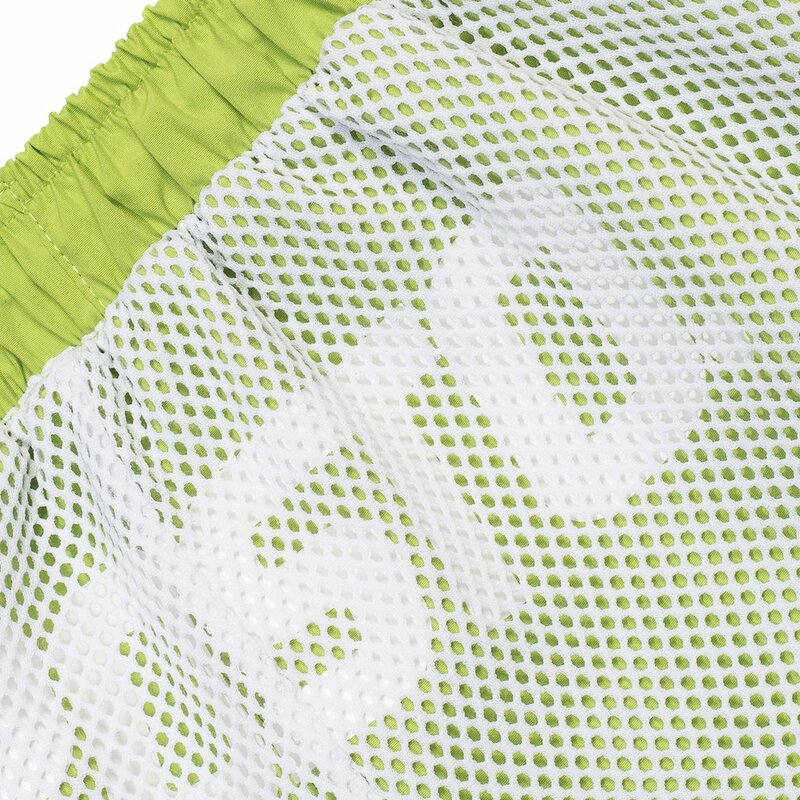 Women's lightweight polyester shorts featuring outer mesh. 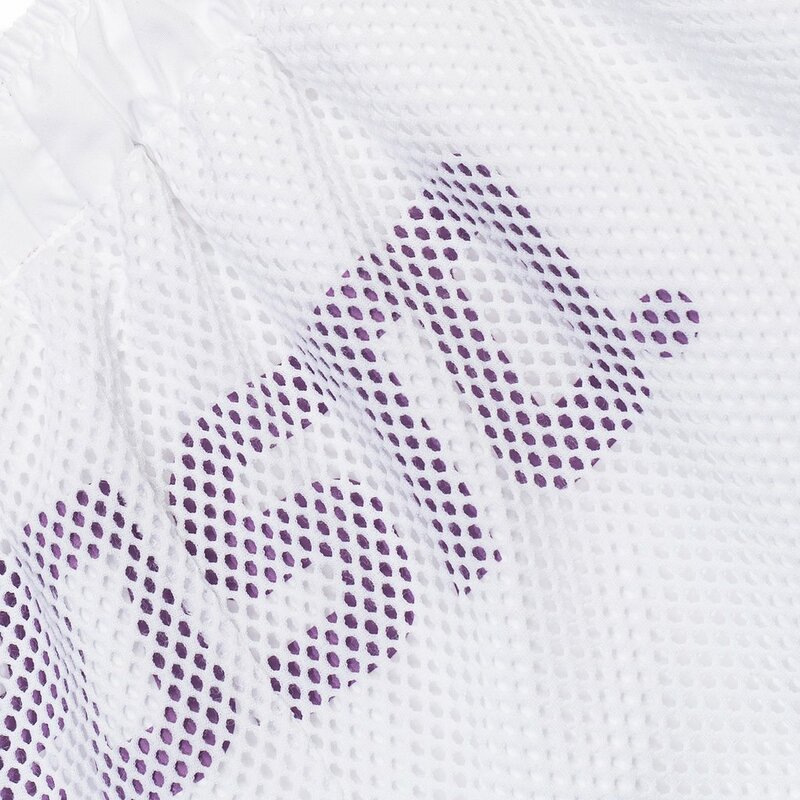 With back silk screen logo printed under mesh. 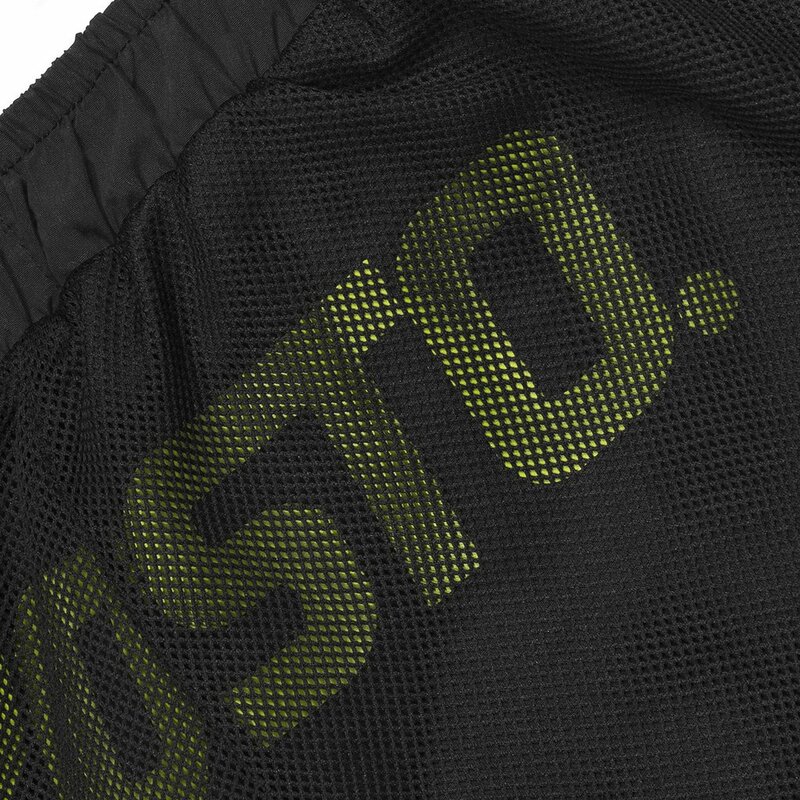 Contrastive insert with embroidered logo.